Gary Coyle was born in Dun Laoghaire in 1965 and studied Art History & History in UCD from 1983 to 1985 and Sculpture & Art history in NCAD, receiving a BA in 1989. He studied drawing in the Art Students League & New York Studio school, New York 1990 – 1993, & Sculpture at the Royal College of Art London, receiving an MA in 1996. Group shows include “At Sea” The Tate Gallery Liverpool 2001, “En direct de Dublin” Centre Culturel Irlandais Paris 2003, “Joyce in art” RHA Dublin 2004, “Bathers” Temple Bar Gallery 2005. Solo Shows include True Crimes, 1999, Ad Marginem, 2000, The Floating World, 2002, The wild wild wood 2004, all in the Kevin Kavanagh Gallery Dublin, & Death In Dublin 2005 in The Kevin Kavanagh Gallery in conjunction with the Dublin Fringe Theatre Festival. 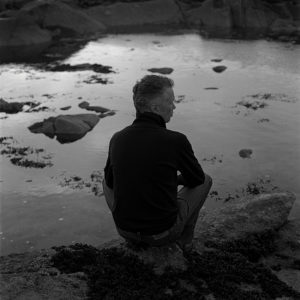 He has received various awards including Henry Moore Fellowship from The Henry Moore Foundation & The Royal College of Art, 1995, RHA annual drawing prize 1999, IMMA’s Artists work programme 1997 –1998, Ballinglen Fellowship 2003, a Visual Arts Bursary from the Arts Council of Ireland 1998, 2001, 2003, 2005 and 2006.